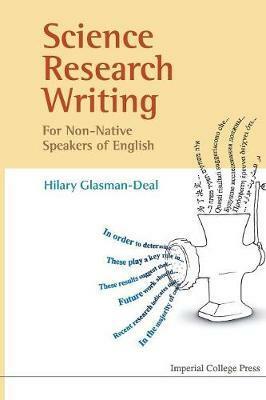 This book is designed to enable non-native English speakers to write science research for publication in English. It can also be used by English speakers and is a practical, user-friendly book intended as a fast, do-it-yourself guide for those whose English language proficiency is above intermediate. The approach is based on material developed from teaching graduate students at Imperial College London and has been extensively piloted. The book guides the reader through the process of writing science research and will also help with writing a Master's or Doctoral thesis in English.Science writing is much easier than it looks because the structure and language are conventional. The aim of this book is to help the reader discover a template or model for science research writing and then to provide the grammar and vocabulary tools needed to operate that model. There are five units: Introduction, Methodology, Results, Discussion/Conclusion and Abstract. The reader develops a model for each section of the research article through sample texts and exercises; this is followed by a Grammar and Writing Skills section designed to respond to frequently-asked questions as well as a Vocabulary list including examples of how the words and phrases are to be used.